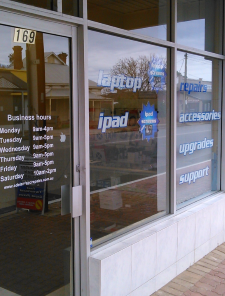 ……– I recently up-graded my desk top computer from XP to Windows 8.1 using Adelaide PC. Repairs. It was something I wanted to do for sometime, but was reluctant due to what I thought as a problem regarding the Auto Arrange of photo’s not being available in Vista, Windows 7 and 8.1. After explaining this to Jim and demonstrating my problem, he was able to advise of several options available to me. Something I had not obtained from other PC experts. The fact that he took the time to research the problem and come up with the answer was enough to convince me to have my computer left with his business. 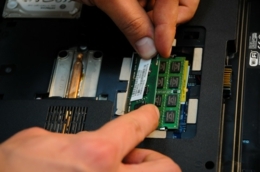 I would recommend Adelaide PC Repairs for their professional advice and service and will be using them again in the near future for another computer repair. Thanks a lot ‘Jim’. ……– Ease of availability, able to discuss issues in such a manor that is easy to understand. Friendly response able to talk to the person doing the repairs. ……– Our computer stopped working and we needed a fast repair. Rang Jim and he had us up and running again that day. His price was very reasonable and I will have no hesitation in recommending his service to my friendship network. Keep up the great work Jim, and thanks again.